MindGems Inc. is giving away 10 licenses of Visual Similarity Duplicate Image Finder PRO (VSDIF) Exclusively to our readers. VSDIF is rated the best duplicate image finder on major photography and software magazines and web sites. What is so special about Visual Similarity Duplicate Image Finder? As the name already suggests this tool can find duplicate and similar images based on content analysis regardless of the image format, size, dimensions, colors and so on. What this means is that even if you have copies of the same image with modifications applied to it like color correction, crop, retouching, change of file format or watermarks it will still be identified as a duplicate of its original image. The scan process is pretty straightforward and consist of adding the folders to be scanned in the folders list at the right pane, choosing a scan method and similarity percentage and hitting the "Start Scan" button. Below are noted some of the key features and important options of VSDIF in order to get the maximum out of this tool. Once you add the folders to be scanned there are some handy options that you can tweak. In the folders panel you can exclude some folders from the auto-check feature. This is handy if you would like to preserve the files in some "'source"' folder(s). You can also "Disable Self-Scan" for certain folders which means that files inside will not be compared against each other. This is a neat feature if you want to compare folder A against folder B.
Scan methods are "Visual Compare", "Hash (100% identical files)", "File size", "EXIF Date Time". The first method is the most powerfully feature of VSDIF and requires a percentage of similarity to be set that will be used as a threshold when identifying duplicates. The next two methods are pretty explanatory and we will not focus on them. The fourth method "EXIF Date Time" is also a neat feature for photographers. What it does is to find images that are taken in burst mode or in other words identifies files that have date and time closer than a specified period of time. This means that if you set a threshold of 5 seconds all the images that have time stamps closer to each other than this threshold will be grouped together in the results. VSDIF is a "Must Have" tool for the disk cleanup process. When the scan process is complete Visual Similarity Duplicate Image Finder will list all the duplicate files sorted by groups of two or more files in alternating colors. All the information is neatly listed in columns that can be rearranged in order to suit your preference. The tool provides a handy auto-check feature that can mark files based on date, size, age, type, dimensions and more. 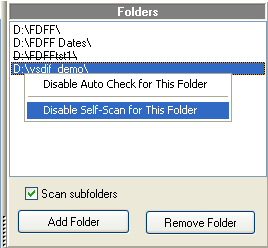 Your default file viewer can also be invoked via the VSDIF context menu or the file can be located in Windows Explorer. An in-program rename option is also available. Once you are done with the review of the results you can choose whether to move the files to a certain folder (backup), delete them to the recycle bin or completely remove them from your hard drive. If your files are organized in folders VSDIF will also maintain the folder structure of the moved files in the target location. The purpose is to find images based on a pre-loaded sample(s). In order to use it the folder to be searched should be added in the folder list. The feature is activated via the "Search For Images" tool button that presents the dialog above. Here the images to be found are loaded and hitting the "Search" button lists all the similar image in the main windows list. Cleaning up duplicate images can save you gigabytes of valuable disk space and using such tool is a must. You can download the demo version of Visual Similarity Duplicate Image Finder for free here:Find Duplicate Images. The Visual Similarity Duplicate Image Finder PRO costs $39.95 to buy, we have been provided with 10 exclusive PRO licenses for our blog readers so if you are interested in it do post in the comments below to get a chance to win a license. Winners will be chosen on random basis among all the commenters. End date for this giveaway is 15 FEB 2013. UPDATE # Winners announced, contact us or comment below to get your activation keys. This would totaly be usefull for me since i a photo junkie. Just love taking photos now sorting and finding them will be so much easier! This sounds like a really great tool to have. I have always been perplexed by eliminating duplicate and not so duplicate photos. I have so many of them and the files are getting a little too difficult to manage. This software would really solve my problems. Please count me in for beatiful software. Maybe this will help me organize my photos. They are in such disarray. Thanks for this giveaway better way to find photo duplicates without errors. I want this licence . I have lots and lots of photographs stored in my PC . I really need this software to find the duplicate ones. Would you give me one of the free licenses? Will definitely recommend this software to anyone. I would like to have a chance to receive it :) I'm a photographer so it might have great use. 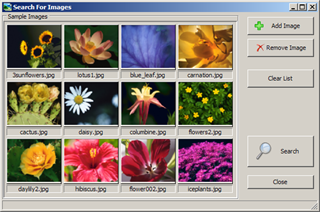 I would like to get a free licence for Visual Similarity Duplicate Image Finder PRO. Thank you in advance. Please consider my entry for the license drawing. Thanks! This is a kind of first software that i have come across.. and the introduction about this was really good.. i was amazed by this one especially.. I will now use this one because i always liked to have a tool just like it, but i am afraid that it may use a lot of cpu as it scans through all the pics. Eager to use the licensed one..!! Hi, Please count me in. Thank you in Advance! Hey, I could really use this program good, so I really want the serial. Thanks in advance!!! What a fantastic tool, have been needing a product to help sort through all of those endless images that have been collected. Then we affect those images in many different ways with re-naming to save the changes without loosing the original. Your article hit it on the head with exactitude! Please send on my way. I have so many images that need to be organized! It's really great opportunity to get it free. It's really too good to remove the duplicate images from hard disk. I will be very happy if I am one of the luckiest to get it. Thanks Megaleecher for sharing. It worth. I would love to get that Duplicate Image Finder license. I'm interested in this software please. It sounds perfect. I've got 10,000s of photos due to previous backups and attempts to sort them, I've actually only taken about 1-2000 photos, so this would be great to help me remove duplicates. Thanks. I could use this so much!!!!!!!! I need a giveaway for my photos! Thank you so much for wonderful giveaway! My dupicate photos are taking up many gb's on my hard drive. I could really use a premium program like Visual Similarity Duplicate Image Finder PRO!! Looks like it is good staff,after that they can find you all over the internet,just looking for a photo. And there are a lot of places like,google+,picassa,fac(k)e book a.s.o. Very good and useful soft. Very good and useful soft. Thanks for giveaway. So I can delete all duplicates of my images. Awesome! Does it work for Apple computer? I downloaded the demo and ran it in my pictures folders and was amazed at the number of dupes it found.This is a great time and space saver. Thanks for the offer. Excellent software. I have tested the Demo version of this very handy,compact,tidy and very useful great little software and find it to be a Boon for serious photographers shooting hundreds of snaps routinely.It is a worth acquiring software for keeping your portfolio slimmed down. I could use this to prune my photos! Thank you. Awesome, I would love to win a license. I have way to many pictures on my computer, probably a lot of duplicates!¡! Great software! Thanks for this giveaway! Hope this software help me to freeup some of my harddisk space. Thanks for Meegaleecher Team,,.. Thanks for wonderful graphic software.Please count me in. I like what this program does. It's a trim piece of software tightly focused on its mission. Not some bloated, swiss army knife wannabe. I like the way it uses several different approaches to match up the images. Now, if they, or someone would make a piece of quality software (like this one) for identifying duplicate music files. Wow. Downloaded the demo version and am really impressed at what VSDI does. I have images scattered over 9 different hard drives, many, many duplicates. If I don't win a copy I think I know what I'm going to be saving my spare pennies to buy next! this tool will come in handy, i have a lot of image collections, and it still growing in number. I would love a copy please. Thanks so much for doing this...you guys rock! I want this app desperately ! Very interesting software! Haven't heard about it before. Thank you for the review and the giveaway! I would be glad to win a license! I NEED THIS SOFTWARE TO SAVE MY DISK SPACE,PLEASE GIVE ME THIS EXCLUSIVE LICENSE GIVEAWAY. thanks for contest add me to list. I hope to win one license. Duplicate Image Finder PRO is very good software. Thanks for this post. I hope I win. I'm selfish like that. Lot of features in one place, surely I want it. Thanx. Thanks alot for the chance nice software. Thanx for this review and gieaway. Count me in of course. Being an amateur photographer, I could really use a software like VISDIF pro. I have tried the demo version just this morning. It is a very useful program. Great Software..Seen the demo. Need to win this one. well its luck check time ! :) Hope i win me ! Make me a winner! Just this time please...Love it,need it...Ty anyway!! !,for the chance!!!pozdrav,bok! Its a good software to find out duplicate images from computer. This looks great, yes please. This is some useful softy. Good to have this software. Thanks megaleecher for the giveaway. Awesome giveaway for sure .Thanks ML. Would like my name entered in the draw.Tried some free versions of duplicate photo finders but didn't even work so well as your demo. Thanks for the giveaway campaign. Hope I'm the lucky one!! Would be great to get a licence for this wonderfull piece of software! The winner list is now updated above, comment below or contact us to get your key. Thanks for the great competition, This is my first in winning something. How can i winning retrieve my key? Hurray... I got the email that i had been chosen randomly as I had opted in the Megaleecher and MindGems Inc. giveaway.. 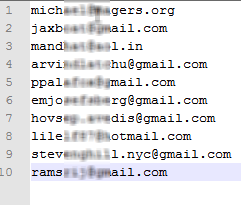 I had my name in the winners list, and got a mail from MindGems Inc. It had been 3 days passed.. Please send it as soon as possible..
i'm in the same boat... responded to the notification that i had won, but have had no reply. Thank you so much, received my license, congrats to all, many thanks to mindgems and megaleecher. Thank you so much Megaleechers & Mindgems for this wonderful opportunity. THANK YOU MINDGEMS, CREDENTIALS RECEIVED. I am so glad to have a professional copy for free of cost.. Thank you very much once again..
the license and download link arrived today. I responded to the email notification with my first and last name as requested. Thank you for the free license. I look forward to receiving the activation key.